“I haunt myself,” she said. And then she laughed, trying to reduce the intensity of her words. I smiled. She does that. She slips laughter in at the end of her sentences, especially the ones where she describes herself. “I’m shy about my work.” She laughed again. 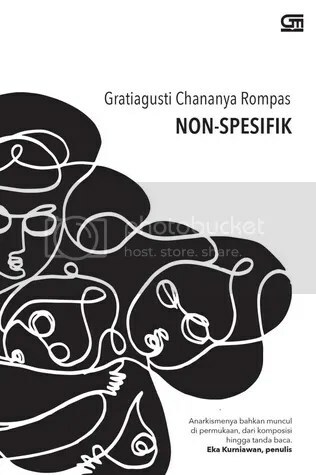 Amid the loud chatter of people, the clinking of cutlery and cheesy pop music blaring in a pseudo-French-named caf* in one of Jakarta’s malls, poet Gratiagusti Chananya Rompas flicked her cigarette on an ashtray. The 27-year-old talks fast but still manages to choose her words carefully. We talked about her poems, which she says are the results of candid observation of herself, thus the reflection: I haunt myself. “I use my writing to know myself better,” she said. “If I stop doing my work, I lose most of my personality,” she said. “If I don’t write, I lose a way of expressing myself,” she said. Anya is one of the pioneering artists who use the Internet to publish literary works, triggering the movement dubbed cyber literature. In 2000, while studying English literature at the University of Indonesia (UI) she set up a mailing list called Bunga Matahari (Sunflower) for people to submit and share their poems. Eight years later, the mailing list has around 1,600 members. She has produced an anthology of poetry titled “Antologi Bunga Matahari” (2006) and the site has evolved into a community with regular gatherings for poetry readings. Now, people from many different professional backgrounds publish their works on the mailing list and on their personal blogs. Anya posts her poems at: www.violet.multiply.com. Other cyber communities that focus on literature have also emerged, such as Cybersastra, Fordisastra, and Sastra Pembebasan. Wearing a white singlet topped with a pink tank top and a cute, long button necklace, Anya easily falls into the archetypal image of a sweet young fashionable girl. She generously smiles and laughs. However, looks can deceive. “My friends say that my poems are dark and depressing. I actually like things that are dark and mysterious. I grew up liking stories about Dracula and vampires,” she said. Her interest took her to study Gothic literature for her master’s degree in the UK. “I don’t consider my poems as gothic, though, I am reluctant to classify my work into one genre,” she said. That is why she is fascinated with the Internet, as it offers space for people to immediately give feedback. “In cyberspace, there’s also a kind of dialogue. 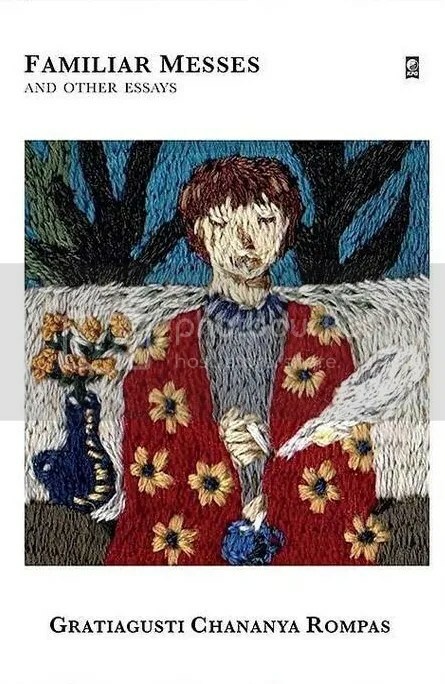 My friends and I visit each other’s blog, and if there’s a poem that touches me, I can write a reply poem and others can do it too, and when we read it, it becomes a piece of art by itself,” she said. She said that poetry published in cyberspace was as real as poetry published in print media. The difference lies only in technicalities as in print media there are gatekeepers before a work goes to print. Despite her love of anarchic cyberspace, Anya, along with her friends, is also venturing into print media. She is currently setting up a publishing company called IrisPustaka. 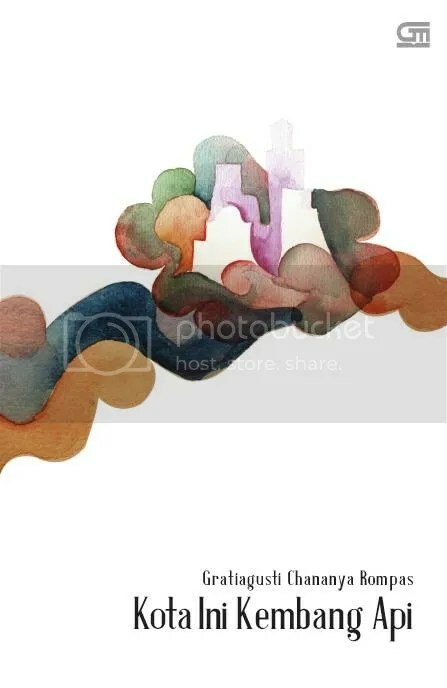 The Company’s debut book will be Anya’s anthology of poetry titled “Kota ini Kembang Api” (The City is Fireworks). “We target finishing printing next month,” she said. Besides her book, IrisPustaka will also publish a children’s book, a collection of short stories and a collection of poems in English. “As I writer I want to explore all kinds of media,” she said.